We know it's a school night....but it's too good to miss!! 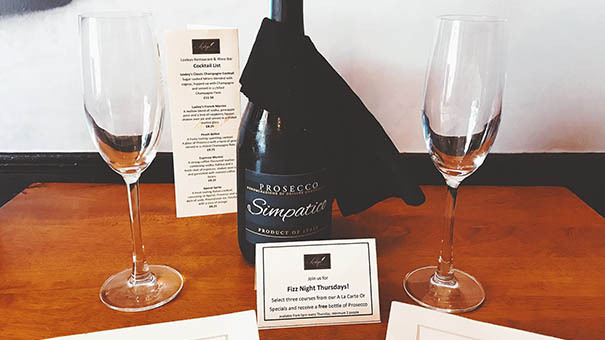 Join us every week for our Fizz Thursday evening. Call us on 01789 292128 to book your table. Any 3 courses from our a la Carte menu (including specials) for a minimum of 2 people & receive a free bottle of our extremely popular Prosecco. * Please note that this does not include our set price menu.